In courtship males use their vomerine teeth to bite the female which in turn allows pheromone secretion to enter directly into the female circulation. 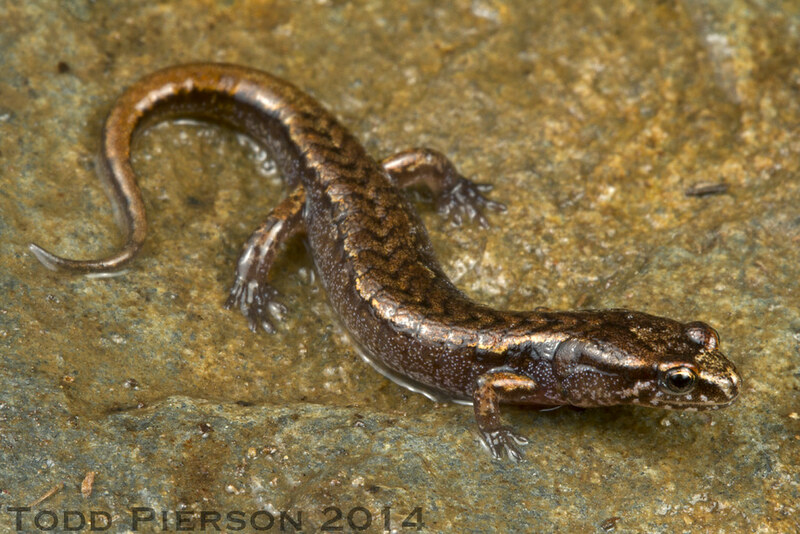 D. wrighti and D. aeneus are the only two desmognathine salamanders that exhibit the courtship that which the male bite and seizes its partner before behaviors exhibited to accomplish sperm transfer. The male approaches the female quickly, bites, and tugs as he begins to undulate his tail. The female in return turns towards the male and places her chin on his laterally undulating tail so that they rotate in full circle. They're awfully small and cute. >In courtship males use their vomerine teeth to bite the female which in turn allows pheromone secretion to enter directly into the female circulation. 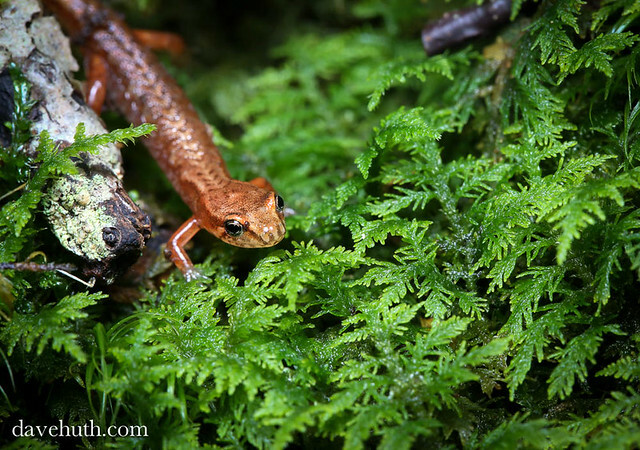 D. wrighti and D. aeneus are the only two desmognathine salamanders that exhibit the courtship that which the male bite and seizes its partner before behaviors exhibited to accomplish sperm transfer. The male approaches the female quickly, bites, and tugs as he begins to undulate his tail. The female in return turns towards the male and places her chin on his laterally undulating tail so that they rotate in full circle. [Source. 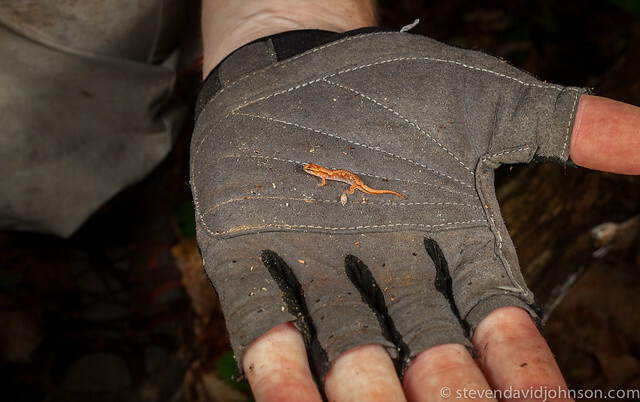 ](https://en.wikipedia.org/wiki/Pygmy_salamander#Life_history_and_behavior) They're [awfully small](https://farm3.staticflickr.com/2927/14479040190_7a67ece12d_z.jpg) and [cute](https://farm3.staticflickr.com/2902/14413035967_cb4c45b4ae_z.jpg). He looks like he's made of copper. Cute little guy. He's adorable. If I were the sort to keep animals besides a cat I'd probably have a couple.